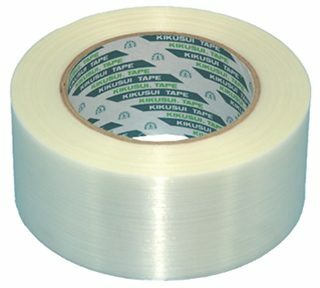 No.850 has good tensile strength because reinforced a polyester film with glass fiber. Suitable for a unity of the wire rod and export packaging. No.505E attaches a release paper, so it can use after cutting to required length.